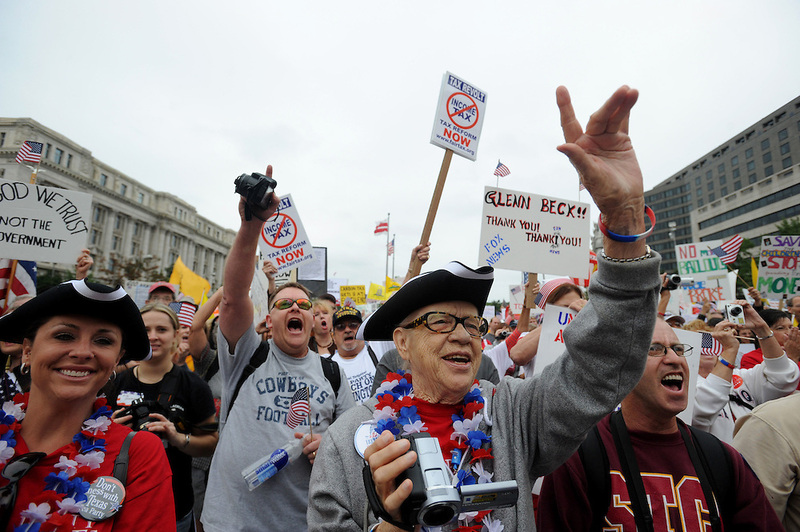 (center) Barbara Parker, 77, of Orange County, Ca, cheers with her granddaughter (right-in red) Lindsey Melton, 32, of San Diego, at Freedom Plaza during the Tea Party Protest on Sept. 12, 2009. Melton said, "I'm here so that my kids can grow up in a country that we all know. They won't have to read about it in history books."